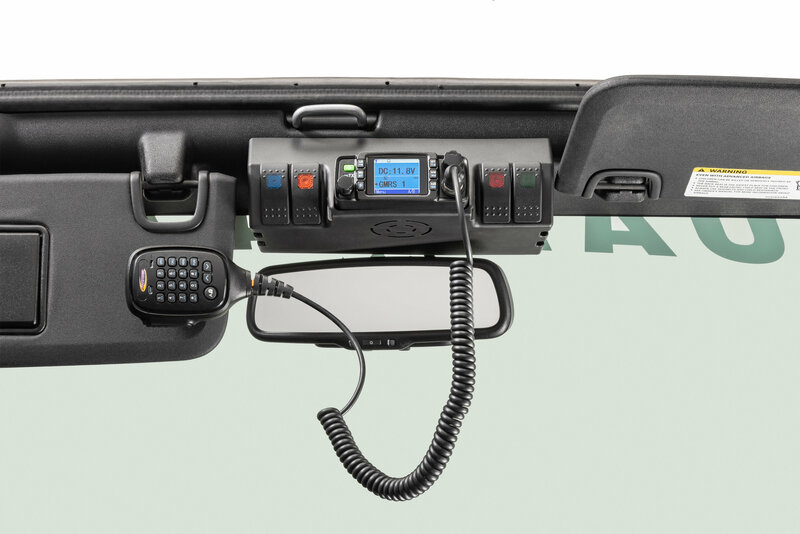 Planning to install a GMRS radio? Already have one to mount in your Jeep? 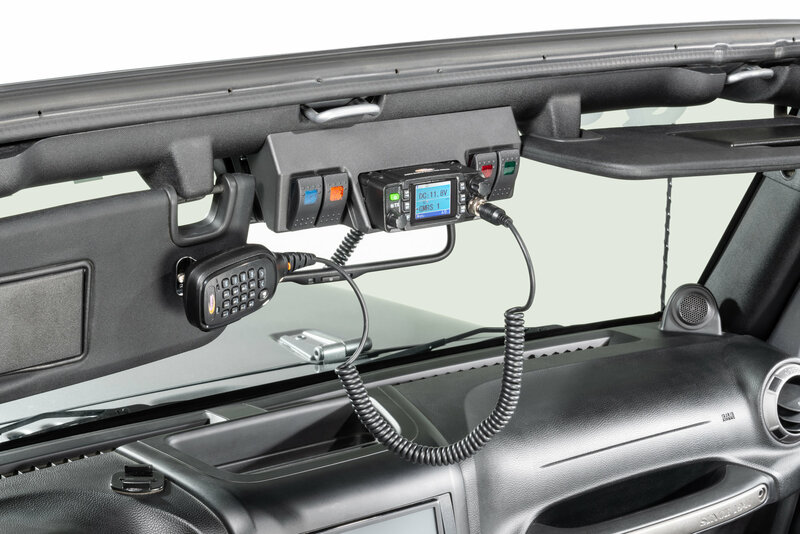 With the Daystar GMRS Radio Upper Windshield Mount with Switches for Jeep Wrangler JK you can mount it just above the rear-view mirror. Mounted out of the dash and not taking up any leg room it is still easy to reach from the driver seat. 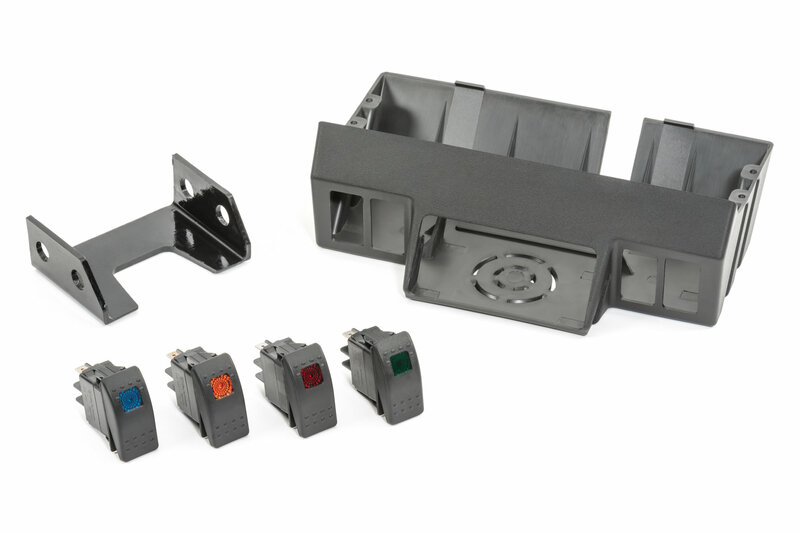 Wire up to 4 circuits with the included Daystar Illuminated Rocker Switches. Full Visibility: Your view of the rear-view mirror will not be obstructed by the mount. 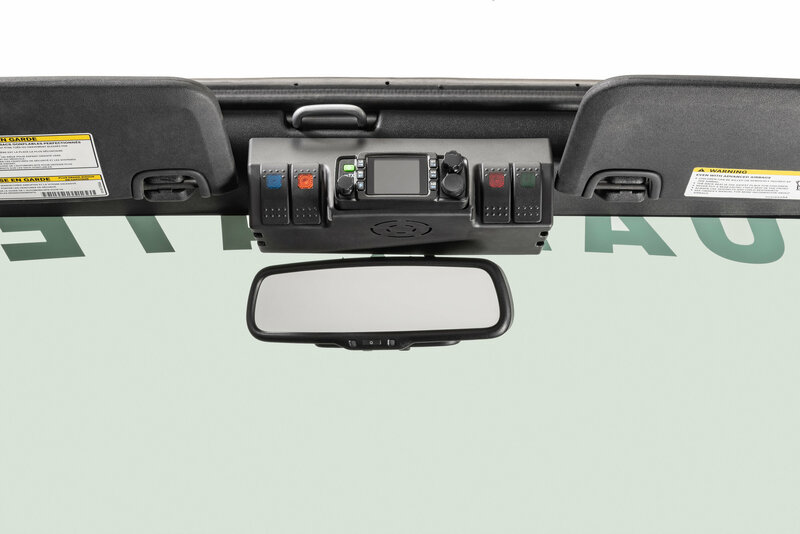 Easy Install: Specifically designed to mount seamlessly to the windshield trim panel requiring minimal modification. Eliminate Clutter: Wires and cables are easily contained within the mount to hide them from view and keep them from getting snagged. 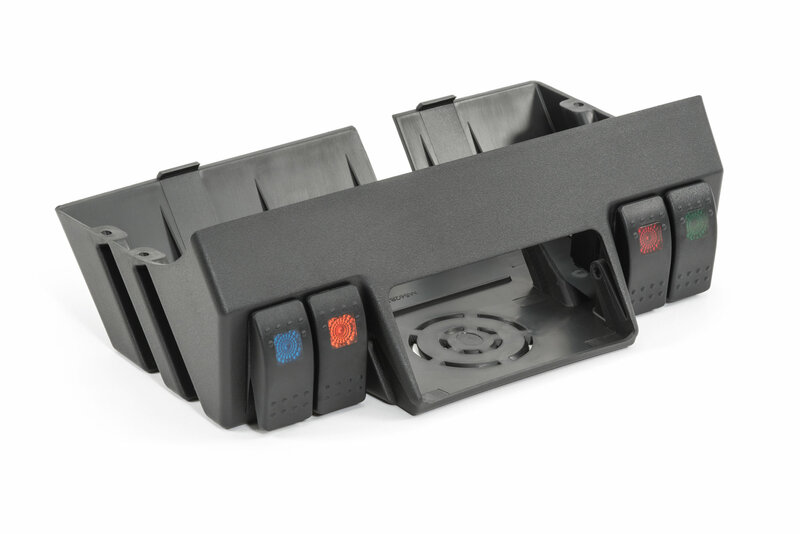 Multiple Accessories: The illuminated rocker switches included with this mount are a great way to wire in up to 4 of your favorite accessories. How large is the radio opening? The radio opening is 4.2" x 1.635"